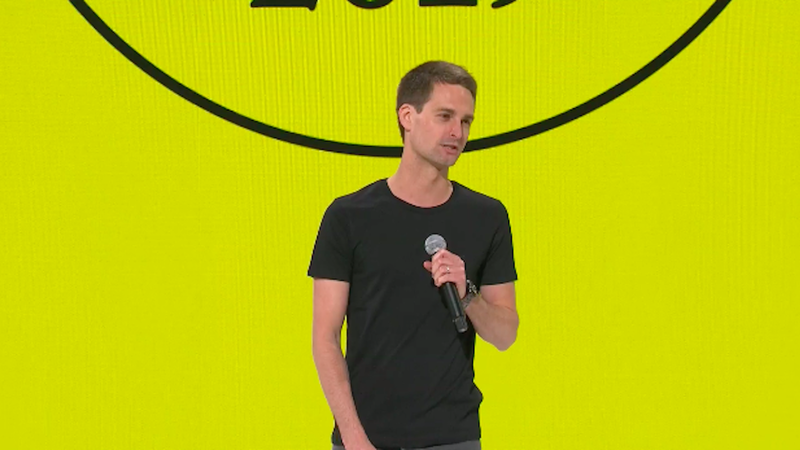 A slew of new updates, features and projects unveiled by Snap Inc. Thursday capture the Santa Monica-based "camera company" in mid-evolution, from a chat platform to a broker of value-added services modeled on China's tech giants. Why it matters: Snap has faced investor skepticism that its media model of youth-oriented ephemeral photo and video sharing can support an ad business on the scale of Google's or Facebook's. The announcements at the first-ever Snapchat Partner Summit show that Snap intends both to keep growing its ad revenue while building revenue-generating services that users can access across apps and activities to increase engagement with Snap's products. Snap Kit (developer platform) updates: Snapchat announced new capabilities and partnerships within its Snap Kit, including the ability for Snapchat users to create "Stories" (strings of pictures and videos) that can be sent to other apps, like Tinder. It is also making it possible for users to use Snapchat "Bitmojis" (cartoon avatars) in other apps, like Fitbit. And it's allowing outside developers from popular apps, like Netflix and VSCO, to design and build custom Snap filters and links that can be shared from their own apps into Snapchat for users to send to their friends. Originals and content: As Axios previously reported, Snapchat debuted a new slate of original programming and announced the renewal of several shows. It said it would launch a new daily afternoon news show with Buzzfeed. Snap Games: Snapchat introduced a brand new gaming platform called "Snap Games" that, beginning Thursday, will allow users to play real-time, multiplayer games with their friends. Snapchat announced a slew of new original and third-party games from big gaming developers like Game Closure, PikPok, Spry Fox, Zeptolab, and Zynga. It said it is launching a new ad experience in games so all that "our (developer) partners can see monetization from day one." Sources say the company is hopeful that gaming could provide Snapchat with an opportunity to take a cut of in-game purchases in the future.